Hand-hewing is the manual process used in historical times to form tree timbers into structural beams. Craftsmen struck timbers with an adze to size the timber for its application. This process left obvious striking marks up and down the beam. 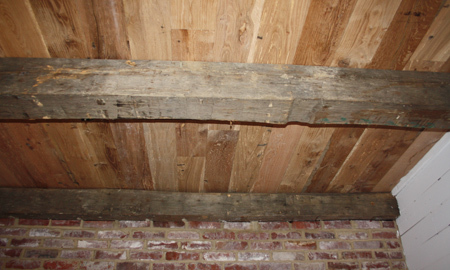 Today, hand hewn beams are the most sought after product in the antique wood industry.